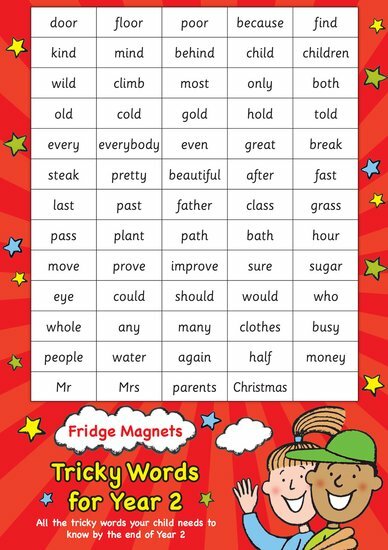 Hurray: it’s another great pack of fridge magnets to improve your literacy. Made to tie in exactly with the school curriculum for Year 2. Cover your fridge in funny sentences – and learn all the tricky words you need to know for school this year. Mix them up. Spell them out. Build your own funny sentences. (We’ve included activity ideas.) A truly great magnet challenge. Make tricky words stick in your brain.